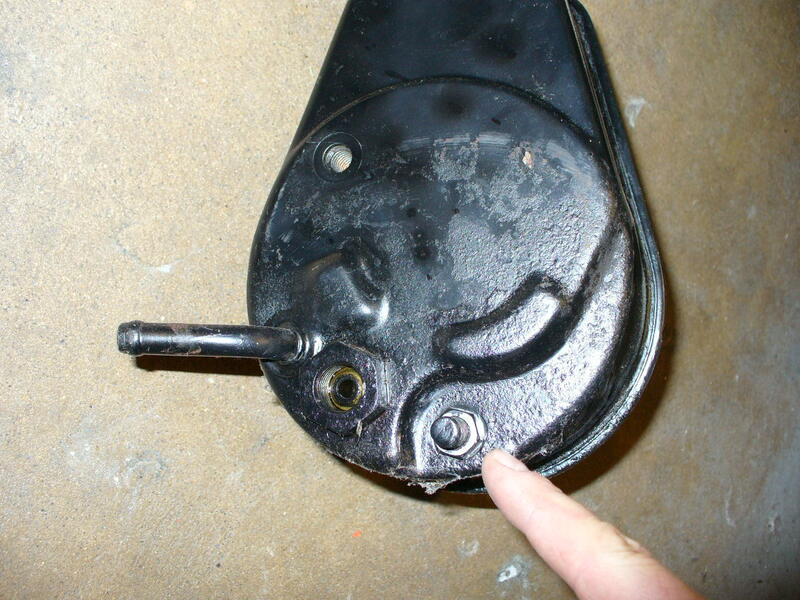 POWER STEERING BRACKET FOR 292 ENGINE USING 1963-74 WATER PUMP & NON-INTEGRAL HEAD. ADJUSTABLE FRONT TO BACK. PLAIN STEEL READY TO PAINT. COMES WITH HARDWARE & INSTRUCTIONS. 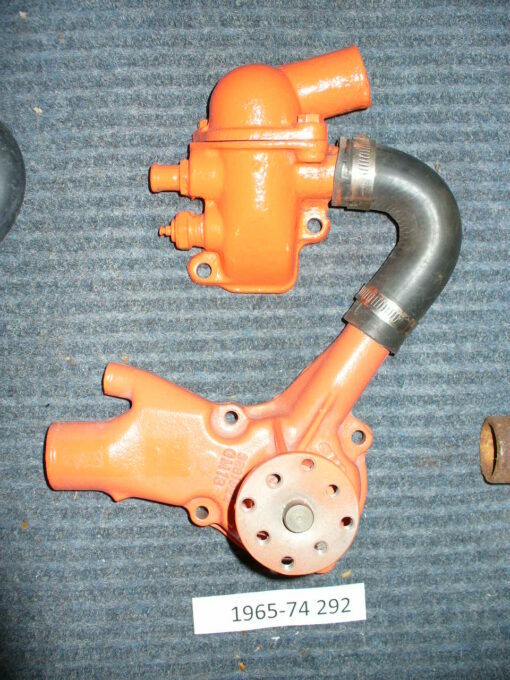 NEW POWER STEERING BRACKET FOR 292 CHEVY USING THE 1963-64 OR 1965-74 STYLE WATER PUMP. BRACKET INCLUDES HARDWARE AND INSTRUCTIONS. 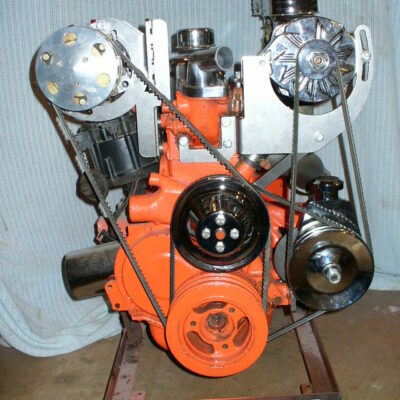 1) 292 ENGINE USING 1963-74 WATER PUMP. 2) SAGINAW POWER STEERING PUMP. (SEE NOTES BELOW). 3) APPROPRIATE UPPER ALTERNATOR BRACKET (SEE PICS). 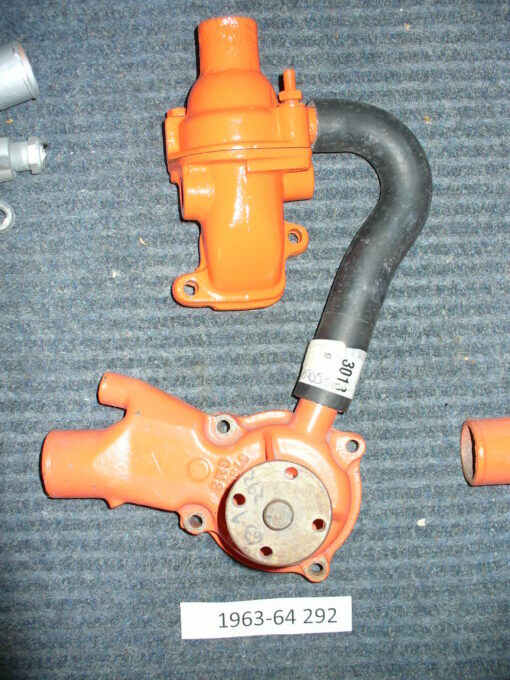 4) 2 GROOVE BALANCER & WATER PUMP PULLEY. (SEE NOTES BELOW). 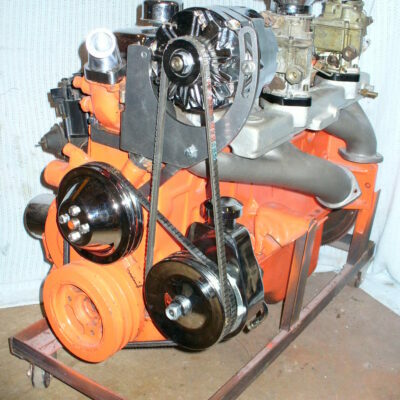 1) 292 ENGINES USING 1975-89 STYLE 292 WATER PUMPS. PLEASE SEE 10004 INSTEAD. 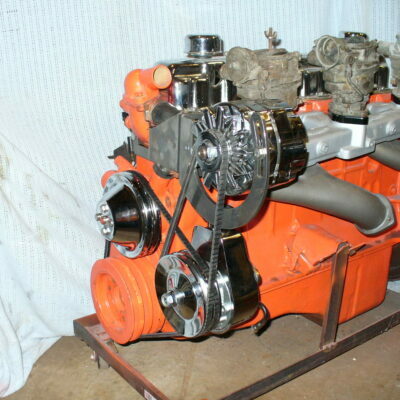 OR A 1948 OR OLDER CAR, THEN THIS WILL BE TOO WIDE. PLEASE SEE 10020 INSTEAD. 3) TRYING TO RUN BOTH PS & ALT ON SAME SINGLE BELT. NOT ENOUGH BELT WRAP ON ALT. (SEE NOTES BELOW). 4) NOT FOR USE ON LOW DECK (153 194 215 230 250) ENGINES. SEE 10002 INSTEAD. 5) DOES NOT WORK WITH INTEGRAL HEAD. 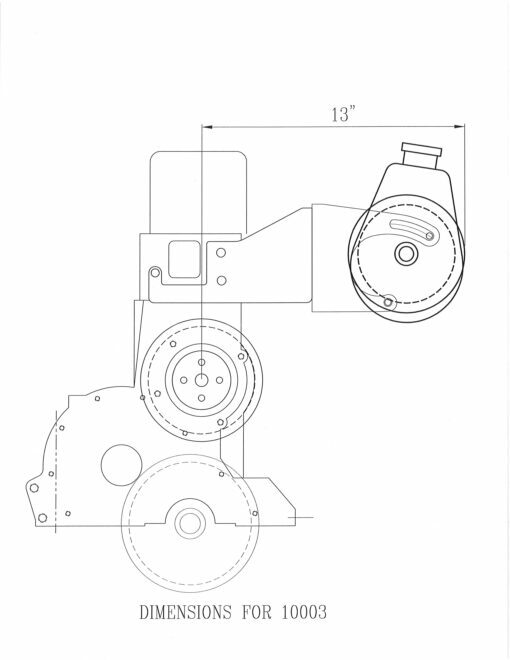 TO CHANGE TO 2 GROOVES, THEN PLEASE SEE PART 10006 INSTEAD. PLEASE SEE 10006 INSTEAD. 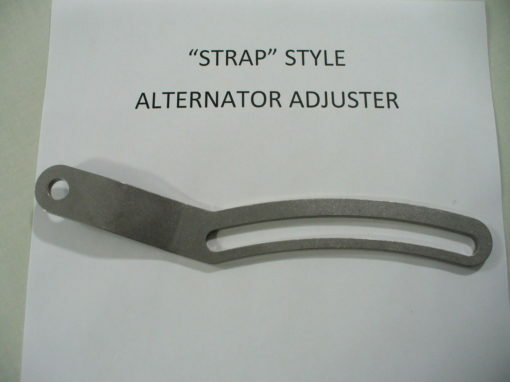 NEED THE AC BRACKET AS WELL? THEN SEE 10009. 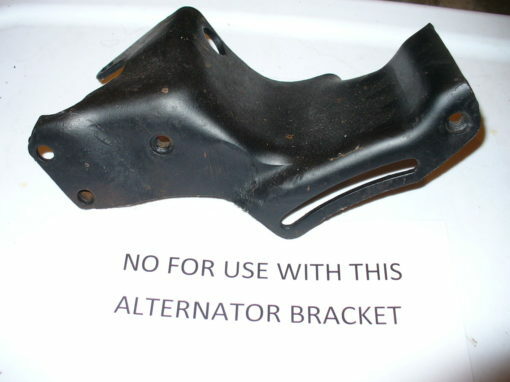 ALTERNATOR BRACKETS, PART 10000 OR 10022 OR 10022AA. 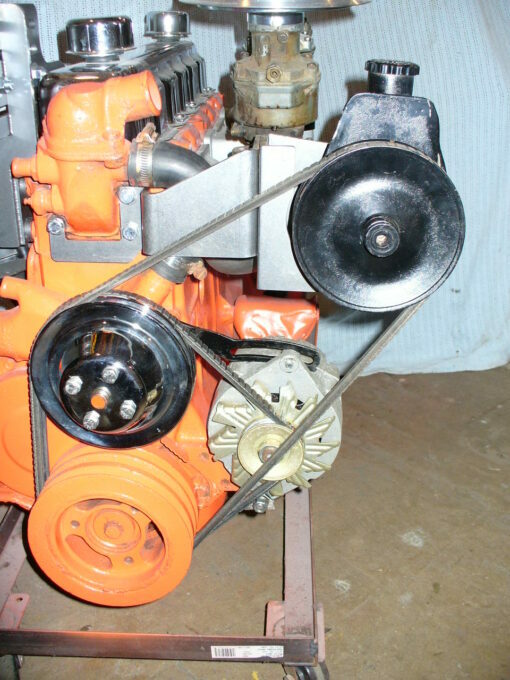 then a 2 groove water pump pulley from a small block V8 will work. 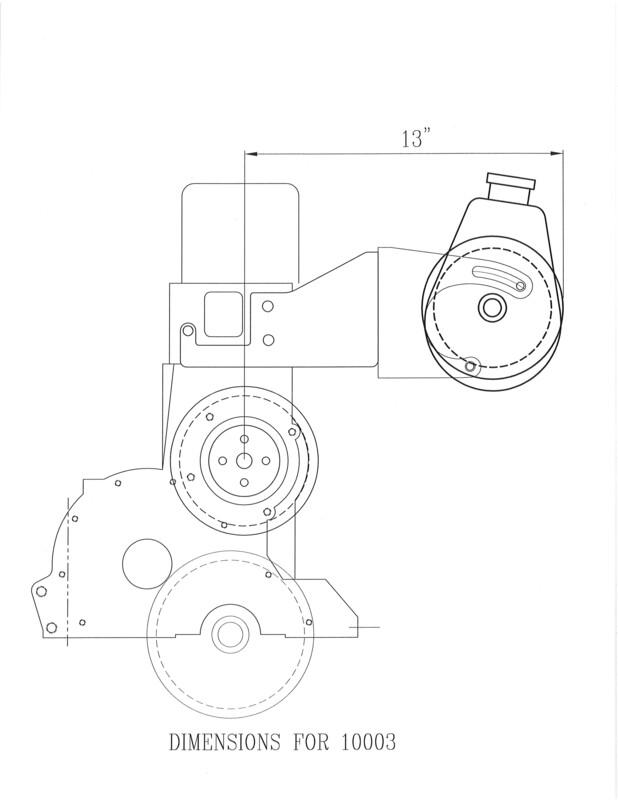 1955-68 for small fan bolt pattern, 1969-up for large fan bolt pattern.